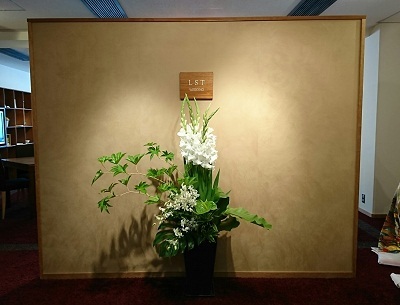 The flowers at LST Kyoto Salon were changed. 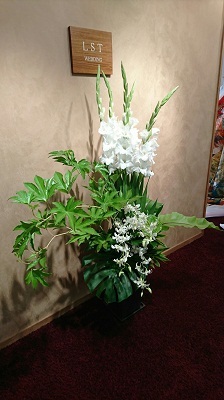 This time we had a flower of Summer “Gladiolus” with “Dendrobium”, “Raspberry”, “Dracaena”, “Anthurium” and “Monstera”. Flowers reminded me of the change of the seasons. And it gives me a moment that I can feel my mind is soothed in busy everyday life.